Four people were taken to hospital for smoke inhalation after a fire broke out at an HDB block in Tampines on Monday (15 Apr 2019). The Singapore Civil Defence Force (SCDF) said it was alerted to the fire at about 9.15am at Block 492E Tampines Street 45. The fire involved household items stacked along the corridor on the 11th floor, SCDF said, adding that about 20 residents from the ninth to 12th floors were evacuated by the police. A man and a boy suffered smoke inhalation and were taken to Singapore General Hospital and KK Women’s and Children’s Hospital. The other two who were taken to a hospital were community first responders who tried to put out the fire using a hose reel before firefighters arrived. A teenager and a firefighter suffered burns after a fire broke out in a Housing Board flat in Woodlands on Tuesday (9 Apr 2019). Four others - two women and two children - were taken to the hospital for smoke inhalation. The Singapore Civil Defence Force (SCDF) said they responded to a fire in a fifth-floor unit at Block 159 Woodlands Street 13 at around 3.30pm. Firefighters had to force entry into the flat, where they rescued a woman, a teenager and two children who were trapped in the kitchen area. Five other occupants in the neighbouring units were also evacuated. The teenager suffered burns to his back and left shoulder and was taken to Singapore General Hospital (SGH). Two women and two children were taken to SGH and KK Women’s and Children’s Hospital for smoke inhalation. An SCDF firefighter suffered minor burns to his left shoulder during the rescue mission and was also taken to SGH. Preliminary investigations indicate that the fire was sparked by a personal mobility device that was left charging in a bedroom. A fire that broke out in a sixth-storey unit at Block 132 Cashew Road on Monday night (4 Feb 2019) was caused by an e-scooter and left a father and his two sons with burn injuries. The SCDF, which was alerted to the fire at around 8.45pm, said that nine people had evacuated from the affected unit, three of whom were taken to hospital with burn injuries. The group of five were having a family gathering with the couple's other children and a three-year-old grandson when the fire occurred. According to the SCDF, preliminary fire investigation findings indicate that the fire started from an e-scooter placed in one of the unit's bedrooms. A fire engulfed a furniture shop at 135 Upper East Coast Road early yesterday morning (3 Feb 2019). The Singapore Civil Defence Force (SCDF) said in a series of Facebook posts that it had been alerted to a fire at the furniture shop at 3.33am. Eleven emergency vehicles and about 35 firefighters were involved. At one point, five water jets were used to get the fire under control. Residents who had been evacuated by the police and the SCDF as a safety precaution were allowed to return to their homes. There were no reported injuries and the SCDF is investigating the cause of the fire. About40 residentshad to evacuate their homes early Saturday morning (26 Jan 2019) after a fire broke out at a Pasir Ris Housing Board block. 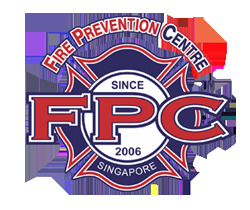 The Singapore Civil Defence Force (SCDF) said the fire, which took place at Block 782 Pasir Ris Street 71 around 3am, involved the contents of a bedroom. It was extinguished using two compressed air foam backpacks and a 38mm water jet. One resident from the unit where the fire started was taken to Changi General Hospital. A fire broke out at 6th floor Block 235 Toa Payoh Lorong 8 on the 8 Jan 2019 morning. SCDF officers responded to the incident at 8.52am. No one was at home when the fire broke out and the neighbours try to put of the fire with bottles and pails filled with water. The SCDF finally extinguished the fire with a water jet. There was no reported injury. The cause of the fire is still under investigation. The Singapore Civil Defence Force (SCDF) was alerted to the fire, which occurred at 8 Tuas View Circuit, around 9.40am (1 Jan 2019). The fire involved plastic waste and tyres. A total of 13 emergency vehicles and about 55 firefighters were deployed. At the height of the operation, eight water jets and an unmanned firefighting machine were used to bring the fire under control. The police announced that several roads were closed to facilitate firefighting operations. These roads were Tuas South Ave 7 and Tuas View Circuit, Tuas South Ave 3 and Tuas View Circuit, Tuas South Ave 8 and Tuas View Circuit, and the Junction of Tuas South Ave 7 and Tuas South Ave 8. There were no reported injuries and the cause of the fire is still under investigation. A fire broke out at the headquarters of pest control company Rentokil Initial Singapore in MacPherson on Friday morning (21 Dec 2018), with dense grey smoke seen billowing from the building even from hundreds of metres away. The Singapore Civil Defence Force (SCDF) had been alerted to the fire at 16 Jalan Mesin. A woman was taken to Raffles Hospital by ambulance due back pain while evacuating the building. She was discharged later in the day. No other injuries were reported. A fire broke out at a single-storey furniture warehouse in Sungei Kadut early on Monday (17 Dec 2018). The Singapore Civil Defence Force (SCDF) said it was alerted to the fire around 3am. When firefighters arrived at 31 Sungei Kadut Street 2, they found the warehouse fully engulfed in flames. The fire was fully extinguished in four hours.No injuries were reported. SCDF is investigating the cause of the fire. An elderly woman was taken to the hospital for smoke inhalation on Tuesday (9th Oct 2018) after a fire at a Tampines flat. was extinguished using a compressed air foam backpack. A water jet was later used as well, SCDF said. All motorised PMDs must meet fire safety standards by 2021 to ensure public safety, Senior Minister of State for Transport Lam Pin Min had said in Parliament last month. About 45 residents self-evacuated after a fire broke out at a Housing and Development Board (HDB) flat in Tampines on Sunday (16 Sep 2018) morning, the Singapore Civil Defence Force (SCDF) said. The SCDF said it responded to the fire at Block 307, Tampines Street 32 at 9.10am. The fire, which involved the contents of a bedroom, was extinguished by firefighters using a water jet, said SCDF. 150 residents self-evacuated, three taken to hospital for smoke inhalation in an evening fire on 3 Sep 2018. The fire broke out in Block 78 Indus Road around 9.30pm, and the Singapore Civil Defence Force (SCDF) said flames engulfed the living room, kitchen and one bedroom of the Housing Board unit. Residents said the maid who raised the alarm was alone in the 15th-storey unit at Block 78 and was taking a shower when the fire broke out. She lived there with an elderly woman and her two sons, but the woman died last month. The two men were not at home on Monday night.